room-full of sick people. You might remember earlier in the week, when it was just Chris and me, that everyone we prayed for was healed. Today was the same. All 7 of us went, and for 90 minutes, prayed for a good number of folk, all of them healed, with the wonderful additional ‘bonus’ of three of them giving their lives to Jesus. 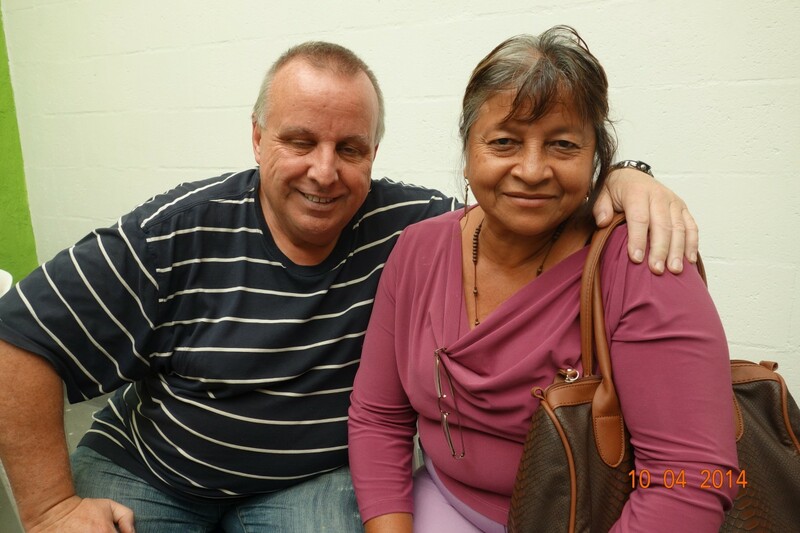 I only prayed for two people: Antonio, a long-time alcoholic, though hasn’t drunk alcohol for 6 months….many associated problems physically with that particular addiction presented themselves, all of which went….and then he gave his life to the God who’d healed him. Lovely! were cold, partially numb, and very painful. I commanded the veins to stop being restricted, or too narrow: then, Elisa and I watched as the veins on the back of hands just ‘grew’ into normal position and size. All the pain went. She also had very bad osteoarthrits in her knees, unable to stand without pain, every step painful , and cracking of the bones in her knees with every step ((tell me about it! )… after a few minutes of prayer, she stood up: no pain. Then she walked: no pain. Then she bent her knees as if to squat: no pain. Totally healed. Wonderful! Thank you, Lord. 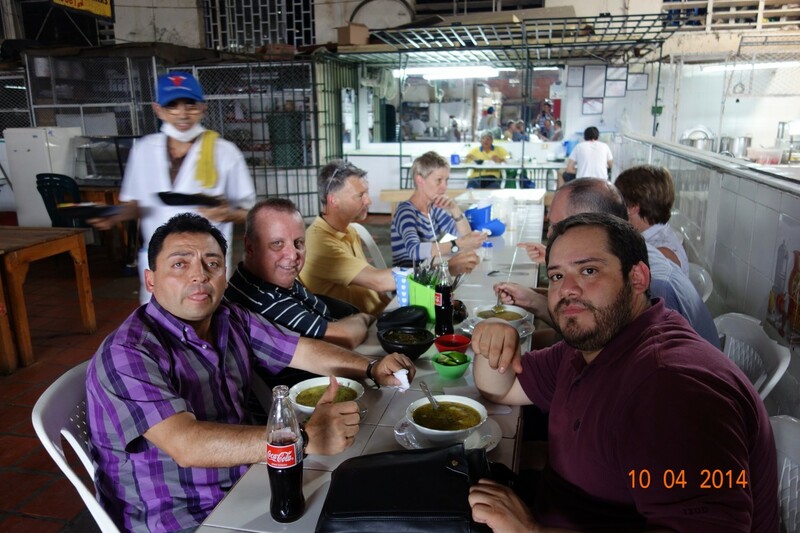 Traditional Colombian food lunch, in a typical Colombian market cafe! 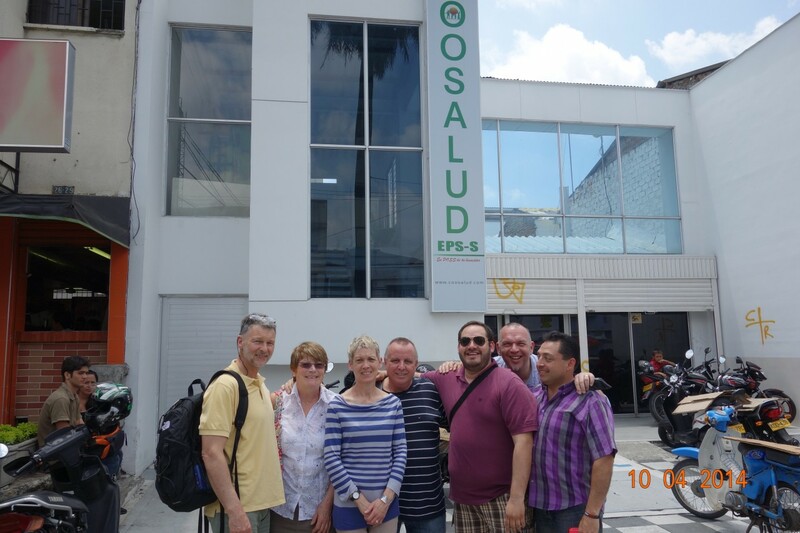 From the hospital, I took the guys to Galeria Alameda, a typical indoor Colombian fruit, veg, meat, you-name-it market, for a traditional Colombian meal…. the sort of place many I know would never have gone into, let alone eaten there! They all seemed to enjoy it….! And now, in a few minutes, off to church: Danny is preaching tonight , and after the last few days, faith for God to move, heal, and ‘miracle’ people is sky-high! I’ll try and blog about that later on!